I’m sure she’ll be prepared for 95% of the questions being about her father. Likely, but unfortunate, as her work in games has hit several high notes – Mirror’s Edge, Overlord, Tomb Raider, and others. 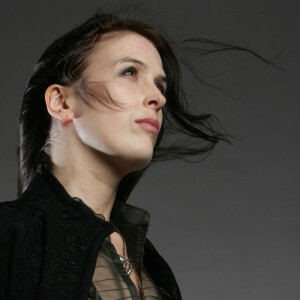 Rhianna Pratchett is an example of the Tower No. 7 phenomenon. On any ordinary, run-of-the-mill day, the spontaneous collapse of a 47 story building not hit by an airplane, the first-ever collapse of a high-rise steel frame skyscraper to fire, would have been the front page headline round the world… but for a day with two 110 story collapses. On that day it barely got a footnote if noted at all. The main article is right to note her accomplishments in and of themselves. Here’s to one day hoping she will get recognized by larger fandom on those merits. Apart from her professional achievements she helped us all out enormously at the Dutch WorldCon, by perching up in an inaccessible location where she was able to relay messages between two radio networks that we couldn’t connect in any other way. With Pratchett headlining, and with Morgan and Sapkowski, this one jumps to the top of best cons I won’t be able to attend next year. Pratchett’s work in video games has been truly exceptional. I hope the attendees will be at her events for her rather than for any other reason, however well-loved that reason might be. I’m with Meredith – envy over here, too. I don’t recognize all the guest names, but the ones I do – wow, great line-up! Sadly, while I’m going to Barcelona next year, it’s not near that time. Otherwise I’d try to stretch my trip to include the convention. I’ve never been to a Eurocon. Kendall: Thanks for catching that. I have changed to the direct link now.